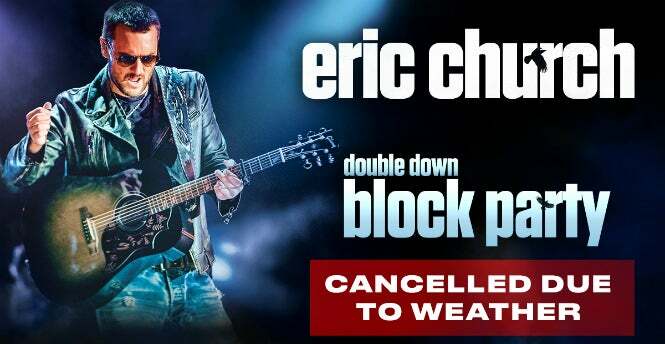 Due to cold weather, Target Center’s outdoor Double Down Block Party on Saturday, February 9th has been cancelled. 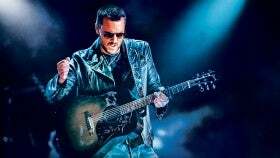 In lieu of outdoor activities, Cargo Food Authority, the new restaurant located inside Target Center’s main lobby, will host indoor parties in celebration of Eric Church’s tour stops in Minneapolis this weekend. Activities inside the restaurant will include live music, radio station giveaways, drink specials, games and more. For more information on Cargo Food Authority, please visit cargofoodauthority.com. 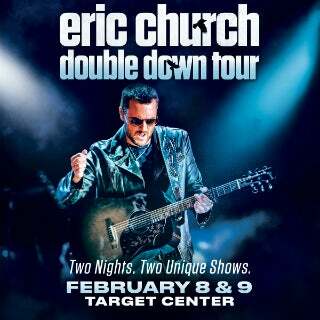 Eric Church will still perform two nights at Target Center this weekend - Friday, February 8 and Saturday, February 9 at 8pm, with arena doors opening at 6:30pm. Tickets to the show are available online at TargetCenter.com or by calling 888-9-AXS-TIX.